Consumers Energy CEO Patti Poppe speaks at a press conference Thursday. After Gov. Gretchen Whitmer and Consumers Energy urged residents and businesses to reduce their gas usage to avoid possible heat shut-offs, the energy company says they can once again turn up their thermostats as of midnight on Friday, Feb. 1. Late Wednesday night, the state issued a Wireless Emergency Alert and asked individuals throughout the Lower Peninsula to turn their heat down to 65 degrees after a fire broke out at a Consumers Energy gas compressor station outside of Detroit. 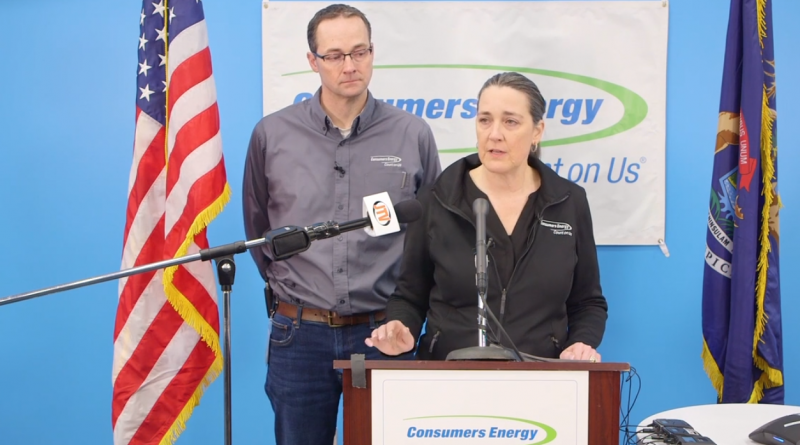 Because of the fire, Consumers Energy had a decreased amount of gas to provide to customers while facing a record-breaking demand for gas during a polar vortex that brought plummeting temperatures to Michigan. 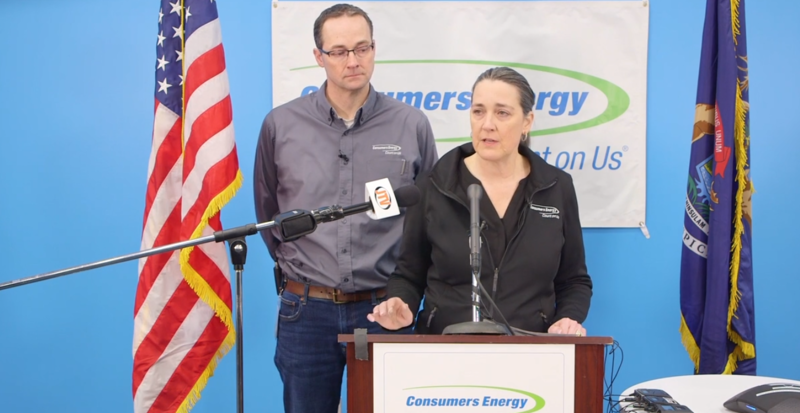 The request resulted in a 10 percent decrease in natural gas usage, Consumers Energy CEO Patti Poppe said during a Thursday press conference. 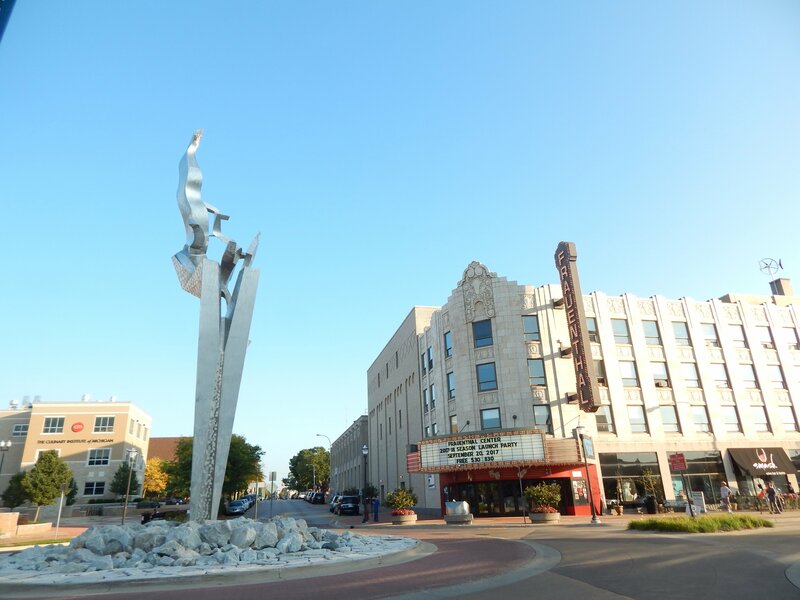 “There is no doubt the gas reduction efforts by residents and businesses across the Lower Peninsula played a key role in helping maintain natural gas flow in our distribution system at a time when it was critically needed,” Poppe said in a press release. The fire broke out at Consumer Energy’s Ray Natural Gas Compressor Station in Macomb County just after 10:30am Wednesday morning. There were no injuries, and the cause of the fire is under investigation. Unable to use gas from the Macomb County station, Consumers Energy had to use gas from reserve storage areas in Wayne and St. Clair counties. Repairs at the compressor station are ongoing, and now one of the station’s three compressors is partially in service.